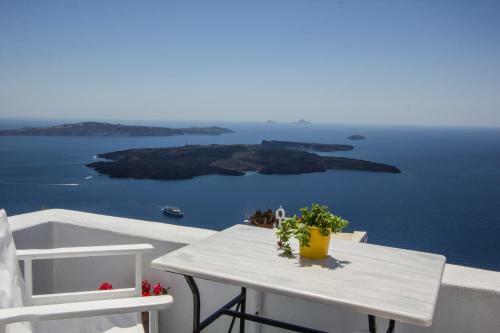 Located right on the top of Imerovigli, at an altitude of 260 metres above sea level, Heliades Apartments features free Wi-Fi throughout. 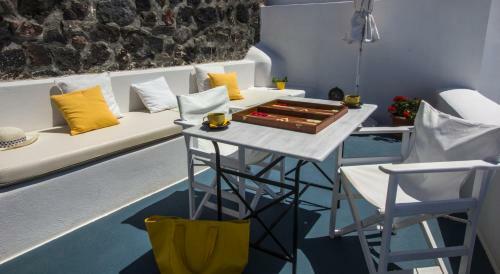 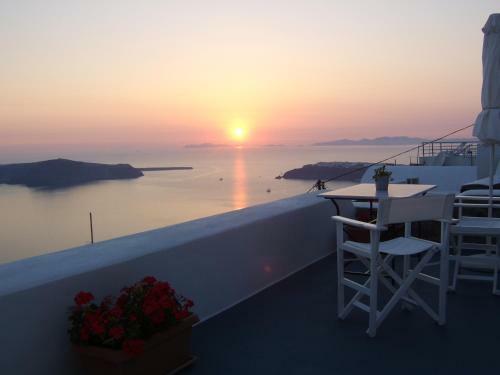 The Cycladic-style accommodation boasts panoramic views to the caldera, the volcano and sunset. 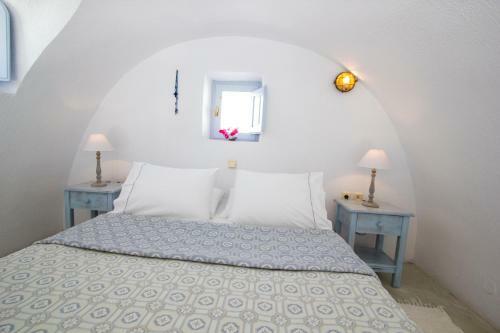 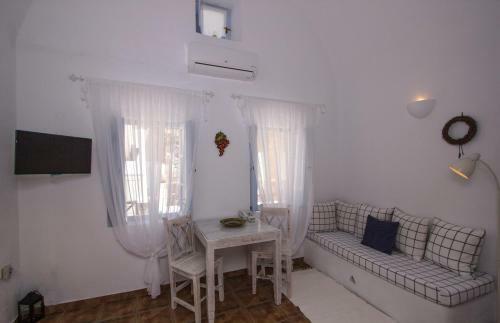 Featuring traditional Cycladic architecture with white, arched walls, all accommodation types offer a safe, seating area, satellite TV and CD player. 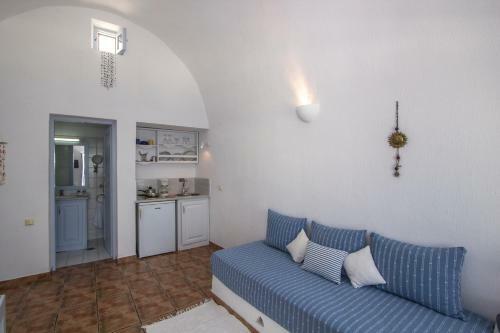 The kitchenette includes a fridge. 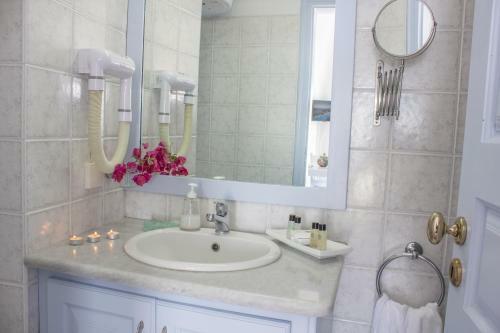 Free toiletries and a hairdryer are found in the bathroom. 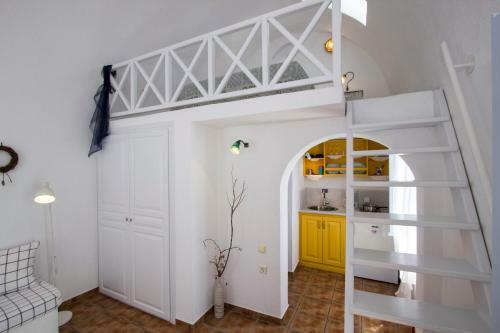 Some units are split-level. 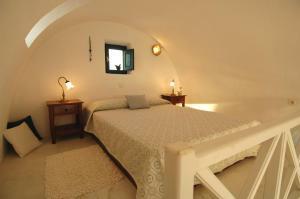 Various mini markets are within a short walking distance from the property. 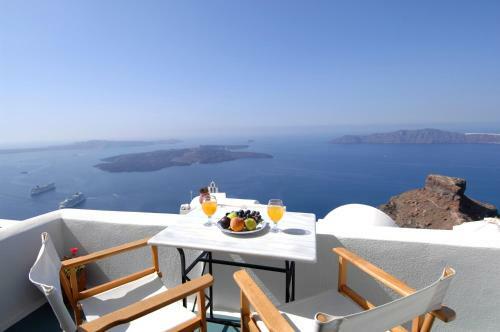 Access to the property is easy without stairs. 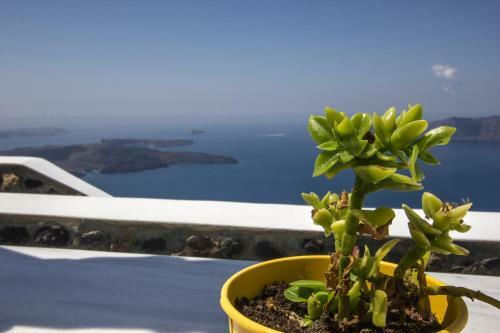 Heliades Apartments is 2 km from the lively Fira Town. 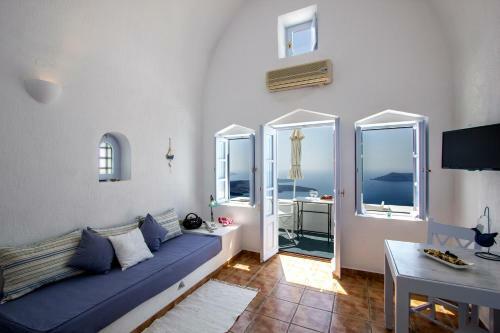 Athinios Port is at a distance of 12 km, while Santorini Airport is 8 km away.